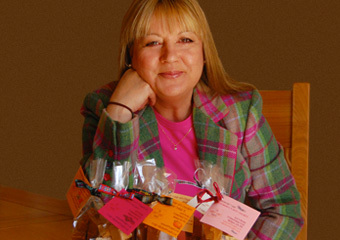 The Wee Fudge Company is one of Scotland’s newest producers of the most deliciously melt-in-the-mouth handmade Scottish fudge and home to me, the #fairyfudgemother. 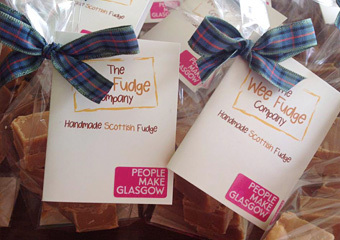 Run from our small family kitchen on the outskirts of Glasgow, The Wee Fudge Company started life as a hobby, making fudge to support my daughter in her charity fundraising activity. 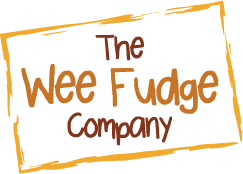 Feedback suggested I should think about making our fudge more widely available, so in the autumn of 2011, around our family kitchen table, the idea of launching The Wee Fudge Company was born. This was swiftly made a reality thanks to Whole Foods Market who opened their first store in Scotland in November 2011, loved the product and swiftly snapped me up as their local producer of fresh hand made fudge. Within 6 months of the business launch we were voted Best Producer at the East Renfrewshire Food Awards ( Feastren) part of the Scotland Food & Drink Fortnight. Over the last 2 years I have been growing the business organically, sourcing the right prodcuts and partners to work with in developing and expanding our range of products and securing a place for our fudge in some of the finest stores in Scotland. Our fudge is now stocked in fine delicatessens, speciality food shops and food halls in Glasgow and beyond and in some of Glasgow’s best tourist attractions, including the Charles Rennie Macintosh inspired House for an Art Lover . 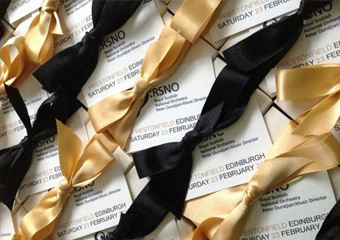 We also produce corporate gifts and table favours and are privileged to be a preferred partner of Glasgow City Marketing Bureau. In 2014 we were awarded a finalist place in the Scotland Food & Drink Excellence Awards ; the Oscars of the food industry in Scotland and we hope testament to the quality and provenance of our products. We hope you enjoy visiting our website, and remember…we don’t make fudge for anyone – we make fudge especially for you! 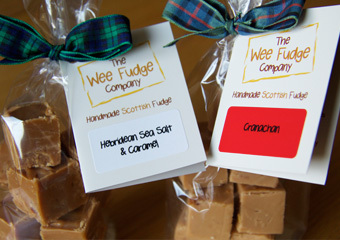 To find out more or email us at hello@weefudge.co.uk and we will get back to you to as quickly as we can.